Every Indian, it seems, is a born entertainer," remarked Satyajit Ray once, observing, during a break in shooting, a child mimicking one of the lead actors in the studios corridor. But that isnt why listing the richest entertainers in India is such a complex and difficult task. The Indian income reporting system-unlike in the West-lacks transparency. Add to that the problem of unaccounted wealth. There are often no standard rates that an entertainer charges. A musician may charge $40,000 (Rs 17 lakh) for a performance abroad while his fees in India for the same could be Rs 25-30 lakh. A top cricketers appearance for a casual dinner with MNC executives may cost anything from Rs 5 lakh to Rs 15 lakh. A film star may rake in Rs 65 lakh to dance at a wedding yet do a film for a friend for free. Also, for long, Bollywood stars have-besides films-thrived on tours in NRI-congested parts of the Gulf, Europe and the US. Tax officials admit they have reports that many stars accept payments through methods ranging from foreign bank accounts to benami flats abroad. And if filmi incomes are difficult to estimate, cricketers are no different. The only thing official: the fees paid by the cricket board. 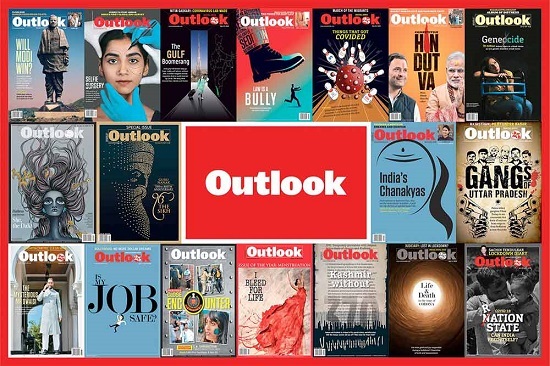 To develop this authoritative list of 1999s top-earning entertainers, Outlook journalists spent months speaking to dozens of sources, from tax officials to chiefs of Indian and multinational corporations, film industry insiders to event management companies across the world. In the end, we decided to give conservative estimates of the earnings this year of the men and women who wove the most popular dreams. And made their own come true. Angelic joint families who spend their time in Hindi belt socio-religious rituals (and sing their guts out); a bit of weepy misunderstanding half-an-hour after intermission, and all cleared up in four more reels. Thats the Sooraj Barjatya formula. Never has any other man made more money out of saccharine Indian family dramas. In 89, his Maine Pyar Kiya broke box office records. Then came Hum Aapke Hain Kaun. Now hes sold Hum Saath Saath Hain overseas for a record Rs 20 crore. Its tipped to rake in a Rs 50-crore profit. Starting his career with Kalicharan, this failed actor has directed some of the biggest hits of the 80s and the 90s: Hero, Karma, Ram Lakhan, Saudagar and the latest, Taal. In the process, he has also discovered some of Bollywoods top stars: Jackie Shroff, Madhuri Dixit, Monisha Koirala. No wonder distributors call him the man with the Midas touch. Also no wonder, claim industry sources, that actors like Anil Kapoor charge next to nothing when they act for him. This, of course, saves money for the industrys Uncle Scrooge. This year, Taal is estimated to have made a net profit of about Rs 27 crore, which includes Rs 9 crore that it fetched for the overseas rights and Rs 4 crore in audio rights. Indias most respected music director charges Rs 1.5 crore for Tamil films and Rs 2.5 crore for Hindi films, directing music for 15 films a year. What makes him tick? He ensures the producer gets back fourfold of what he has spent on the music. Often when the film bombed, the producer recouped half his investment selling music rights. Mani Ratnams Thiruda Thiruda is one such example. Rates between Rs 4.5 crore and Rs 6 crore, plus endorsements like Pepsi, Omega, Bagpiper, Top Ramen and Rs 50 lakh for private appearances-thats Shahrukh. Add Rs 2 crore for shows abroad. All this for a man whose first acting fee was Rs 25,000. Of late, the Khan has decided to gamble on his popularity and has been seeking overseas rights for a film instead of the signing amount, says trade scribe Amod Mehra. "Shahrukh is using his relationship with overseas distributor Kishore Lulla and the UK-based Mittals. Though hes yet to sign a film on this condition, its his rate now," he says. Khans ready for the release of Phir Bhi Dil Hai Hindustani. "He has this peculiar gambler instinct that helps him earn more than others," says an industry source. If its reliable news, it must be Prannoy Roy and NDTV. Hes maintained the biggest mistake of his life was to study chartered accountancy. Then he doctored in agricultural economics but academics didnt prove to be his true calling. Things took a turn in 77 when he tried a hand at psephology along with wife Radhika and friends Appan Menon and Ashok Lahiri. In 84, he did his first poll coverage on TV. NDTV was born in 88. Now, about 35 per cent of its equity is held by FIIS like Goldman Sachs, Morgan Stanley and Jardine Fleming. At its private placement a few years ago, NDTV was reportedly valued at Rs 100 crore. Pectorals for the market. Rate per film: Rs 3.5-4 crore. Other income: endorsements, appearances in weddings and shows abroad. Besides home production Hello Brother, which netted Rs 10 crore, his Pyar Kiya To Darna Kya, Biwi No 1 and Hum Dil De Chuke Sanam breathed life into a flop-ridden industry. Though unpopular with black bucks, ecologists and the press, this man with the profound undress code guarantees good initials, drawing enough audiences in the first few days of release to recover costs. This year the Little Blaster will play 10 Tests and 22 one-dayers. In 99, hes bagged the man of the match awards in two Tests and three one-dayers. Off-the-field earnings are marketed by sports impresario Mark Mascarenhas. Early this year, a poll showed Tendulkars image surpassed Shahrukhs-something which helped Pepsi devise a campaign that showed even the Khan was ready to get into Tendulkars boots. And induced it to give Sachin statuettes as corporate gifts. Known for his obsession with cinematic excellence, he is the only star to plough back his earnings into cinema. Though he gets about Rs 7 crore for an assignment along with the Kerala rights which fetches him another Rs 3 crore, he spends his money to develop Tamil cinema. His experiments are all his own productions: blind man (Rajaparavai), woman (Chachi 420) and sci-fi crime thriller (Vikram). This spending for Tamil cinema has left him with little cash but expertise and respect that no other star can boast of. Sri Adhikari Brothers Television of Gautam and Makarand Adhikari is the only TV software company other than Zee Telefilms to be listed on the bse. The company-which once dabbled in news and current affairs programming by hiring Karan Thapar-is primarily known for popular serials like Shrimaan Shrimati, Made In India, Kabhi Idhar Kabhi Udhar and All The Best. The company records about 25 hours of programming a week and the brothers and their families own at least 40 per cent of its stock. Turnover for the 12 months beginning October 98 was Rs 35. 22 crore. The projected turnover of the company for the financial year ending March 2000 is Rs 45 crore. He charges a little over Rs 3 crore and has not signed any new films in 99. But of his four releases, three were hits. Other income: endorsements and shows abroad. For Aamir, 99 was unprecedented. Sarfarosh, Mann, Earth and Mela (yet-to-be-released) covered different genres. Despite Manns dismal showing, this candy floss man showed he was a class apart. He says: "My films, my roles, the way I conduct myself, have a reaction." But despite completing the Khan triad in the cola wars and ranking first in a poll for acting with 62 per cent votes (against Shahrukhs 30 per cent), he still runs third in the money race among the three as hes choosy about films. As film-maker Karan Johar adds: "Aamirs strongest point is that hes a good human being." He charges a little over Rs 1 crore per film and had two releases-Sneham Kosam and Iddaru Mitrulu (both hits at the box office)-this year. Besides, he has signed seven other films and charges high rates for personal appearances and performances, both at home and abroad. The 42-year-old "Chiru", as his fans call him, is undoubtedly Andhras topmost film star. He started his career with Punadirallu and after tasting repeated success at the box office at home and in Bollywood, found a place in movies abroad. Recently, it was reported that a Hollywood producer was contemplating casting him in the forthcoming Return of The Thief of Baghdad. That would make Chiranjeevi-who has acted in over 270 films-the first Telugu actor to sign a Hollywood film. Nearly half his 140-people team pays income-tax. He does 300 shows a year in India and abroad and is mulling magic videos. Hes made trains disappear, bicycled blindfolded, made death-defying undersea escapes and come out alive from under a road roller. The Sorcar show, a happy smorgasbord of tacky glitz, slick tricks and rousing music, derives its roots from street magicians, snake charmers and yogis. These days, helping the man synonymous with Indian magic are his daughters Maneka, Moubani and Mumtaz. "Even the cat in our house is a magician," says Sorcar, one of Indias top forex earning entertainers in the 80s. In a 150-film career, only three films starring this former bus conductor have failed to recoup the investment. Today, he prefers to act in, produce and distribute his own films and charges a little over Rs 2 crore per venture. He acts in one film a year and grosses much more than most stars. Unlike regionwise distribution, Rajni releases his films directly to cinema halls. His 99 production-Padayappa-fetched a Rs 10-crore profit. Rajni is also a wise investor. From the Raghavendra Kalyana Mandapam to a multi-storied complex called Arunachala in Chennai, he has so parked his money as to get at least a 12 per cent return. Rajni displays only pragmatism when it comes to films and has never strayed near what is called art cinema. He was Manoj Kumars youngest brother in Roti Kapda Aur Makan. Cant recollect? Remember the stylish, dhoti-clad brother of Girish Karnad in Swami who sang Ka Karu Sajani? But ask anyone in Bollywood today and all theyll remember is that Kumar owns Creative Eye, a TV software production company which specialises in mythological serials (Om Namah Shivay and Sansar) on DD and regional channels. The channels love him because in a traditional nation like India, mythology is a sure recipe for success. Tennis has fetched more than 70 per cent of their earnings (the rest brands like Adidas and J. Hampstead suitings). They have perfected teamwork by complementing each others game: Maheshs serve and return combined with Leanders speed at the net. Cash prizes in 99 include $405,000 in the Gold Flake Open, 4,000,000 francs at the French Open, £186,420 at Wimbledon, $190,000 at the Phoenix ATP tour World Doubles championship. Career earnings stand at $2,262,059 for Leander, and $1,596, 884 for Mahesh. The Pelvic Wonders rates hover between Rs 80 lakh and Rs 1 crore per film. This year he has signed five films. Then come brands like Mirinda Lime. And the high fees for private appearances and international shows. No matter the cognoscenti have classified him as a buffoon, Govindas idiot grins bring joy to millions. Whether you approve of it or not, the man has style: a flamboyant what-me-worry style that hinges around never taking himself too seriously. His 99 hits were Anari No 1 and Haseena Maan Jayegi. In Y2K, he promises to swamp the sub-culture with Tumhare Liye, Joru Ka Gulam, Aankhiyon Se Goli Mare and Tere Ishq Me Pad Gaya Re. 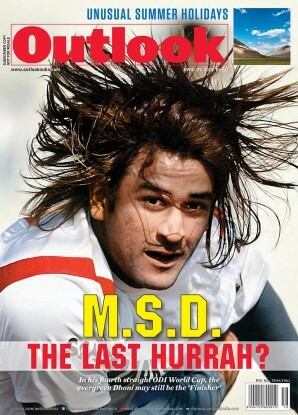 Besides on-field earnings, he endorses Coca Cola. Also charges for appearance at corporate functions. The "Prince of Calcutta" is known for his business acumen. He has a stake in his family printing business and invested in a mineral water plant in West Bengal. Popular with Calcutta NGOS for his willingness to spare time for a noble cause-like spending time with disabled children. He also endorses Close Up, Kingfisher and Pepsi... Jaddus always been a man in a hurry. First a flurry of endorsements, then talks with Bollywood producers (including a rumoured film project with la Dixit), plans of an event management firm and now an apparel venture with Pantaloons. No wonder hes torn a muscle and is missing the Oz tour. The No. 1 man. The jurys out on whether we should blame him for Govinda, or Govinda for him, but the fact is that the man charges Rs 2.5 crore per film, and producers pay up happily. After a few films that no one really noticed, this alumnus of Punes Film and Television Institute got his act together with superhit Aankhen (featuring two Govindas, two Kadar Khans and two Raj Babbars, plus a performing monkey), and has never looked back since. The secret, he revealed once, is that he gets his films vetted before release by his 10-year-old son. He has completed Chal Mere Bhai recently, and is threatening another Govinda film in 2000. This dusky beauty commands a fee of Rs 75 lakh per film. She had three releases this year, during which she also signed a Rahul Rawail film. She endorses Pepsi too. She started with Bekhudi and has acted in 19 films in seven years, including some of the biggest hits: ddlj, Baazigar and kkhh. Industry sources explain her success thus: Kajol has the quintessential virgin face who-at the same time-never shies away from flashing leg when needed. Mithunda has developed his own business model for films. Shot on shoestring budgets, and at Ooty, where the unit stays at his hotel, he churns out cheap films, with profit-sharing deals with distributors. They may not release in metros, but in small-town India, his flicks have a loyal audience. And who remembers he has more national awards-three-than any other actor? So what he failed in films? Suman charges Rs 75,000-Rs 1 lakh per episode of Movers & Shakers on Sony five days a week, besides acting in three more serials. Other income: endorsements and shows abroad. Sony reportedly offered him a Rs 9-crore, three-year contract. Which he turned down. But still attracted tax raids and extortion threats. The chatterati may not tremble with excitement over Movers & Shakers, but his gags continue to be all over the screen despite his cutting down on TV assignments. He launches Silhouette, a theatre academy with Om Katare, this week. And hell ensure that he makes time to act in at least two plays a year. Rahul (formerly "The Wall") Dravid played 42 one-dayers and 7 Tests in 99 and won the man of the match award three times. At 26, this human icebergs hit pay dirt. He figures next only to Tendulkar in his appetite for runs and the number of brands endorsed, with a list stretching from Kissan jams and Britannia to Clinic All Clear. Like Ganguly, this former MBA student is always on hand to help a cause-spend time with disabled children, lead a march against drugs or endorse save-the-tiger messages. This Patna sardars deal with Magnasound shot him into the limelight. Besides singing for albums and films, he manages his event management company DM Entertainment, and endorses brands like Coca Cola. His first album, Bolo Tara Ra Ra, became the biggest hit in the history of Indian music. Then came Dardi Rab Rab and Ho Jayegi Balle Balle. There are rumours that hes close to a Rs 5-crore deal with Super Cassettes. But there are times when he prefers doing something minus the greenbacks-like trying to check Delhis pollution through the Daler Mahendi Green Drive. Citing personal reasons, she did not sign too many films this year. But her Rs 75-lakh-plus fees and endorsements for a number of brands (including Coca Cola and Dabur) place her in the top slot, with Kajol, among actresses. She charges anywhere between Rs 20 lakh and Rs 30 lakh for dancing/private appearances in weddings. And then there are the international shows. The first woman from the chauvinist Kapoor family to appear on screen, Karishma today is a far cry from the awkward teenager in the highly forgettable Prem Qaidi in 90. Her two releases this year were Rajshree Productions Hum Saath Saath Hain and Biwi No. 1, both hits.